I know, I know. Make up one name for your new drink and stick with it. When I first concocted this drink I definitely molded it after the classic John Daly drink (iced tea, lemonade and vodka) which is a play on an Arnold Palmer (iced tea and lemonade). Skipping the lemonade, I mixed iced tea with Champagne. It was that easy. The bubbles give just a little sparkle to a basic tea. To get into the details, I made the drink to go with a this snappy coconut milk cod, which is Thai-like, not to mention somewhat difficult to pair a cocktail with (this one worked great with that dish!). That led me to iced tea, which led me to the John Daly, which got us to this point. Now, your version doesn’t have to be Thai-esque. You could use a straight black tea or even a fruity tea; skip the lemongrass and add in a cinnamon stick. It all goes, and it all depends on your palate. I don’t like anything too sweet, so the plain unsweetened tea actually helped to calm down the sweetness of the Champagne (I was using a sweeter Champagne, but some of them are bone dry. Look here to read more on the six levels of sweetness in Champagnes). 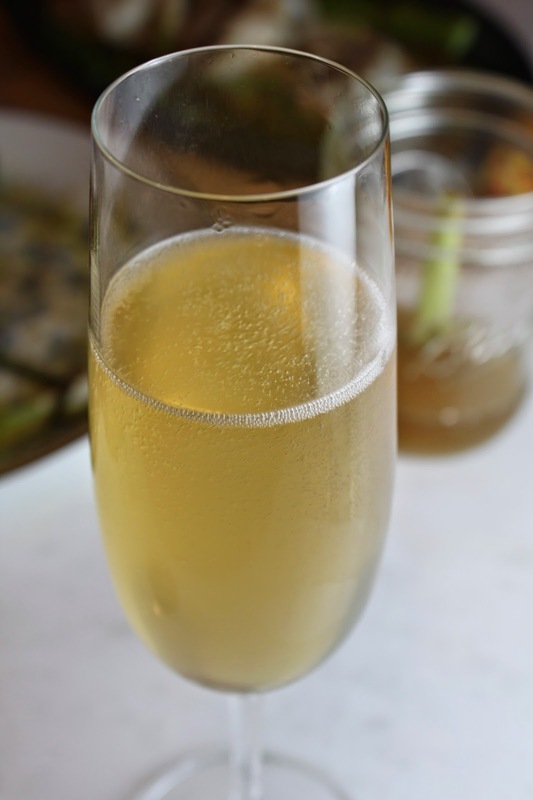 If your Champagne isn’t too sweet, you could add a touch of honey to your tea while it’s steeping. It’s a refined John Daley. It’s a simple afternoon sunny sipper. It’s a basic idea for you to have fun with. Mix equal amounts of tea and bubbles, adjust to taste preference. Enjoy! Add the ginger and the lemon grass to the tea while steeping and then cool. Mix equal amounts of tea and bubbles. Adjust to taste preference. Enjoy! Fat and Happy Food Blog Tips and Techniques: Try this with a few different flavors of tea and see which one you like the best.